TIM BARRETT DESIGNS is a, still/video/film production facility designed to work for you and your clients.? We offer an urban environment capable of executing the most demanding of creative concepts and ideas. We offer five indoor and two outdoor stages, two of which are drive-in coves. Our facility also includes a make up room, a full-service kitchen, camera and lighting equipment, private offices, conference facilities, Stage Manager, production staff, security, and free parking. Over the past couple of years of our studio evolution, we have built up very effective and successful studio stages. Lighting Grid, Green Screen, Cyc Wall, Performance stage, – everything you need to get a very cost effective shooting facility. Schedule a meeting with the Stage Manager today to see how they can offer you a solution to your production needs. Studio A (1295 sq. ft) -For Monthly Lease - Contact Loretta Brooks for pricing information at 404-484-5874. Offers a storefront on Edgewood Avenue and is walking distance from the newly revitalized Edgewood commercial district. This space is perfect for retail as this location offers heavy local traffic and great street visibility. 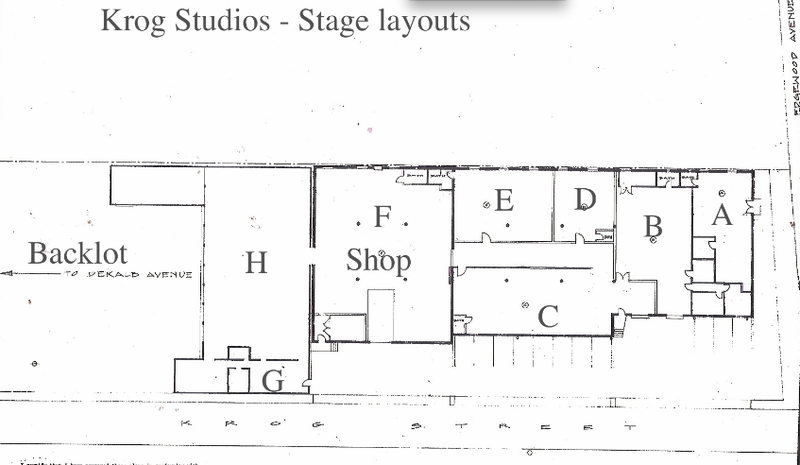 Studio B (2500 sq. ft) features a 16’ by 19’ cyc wall for film and video. Contact Loretta Brooks for pricing information at 404-484-5874. Studio E (1697 sq. ft) For Lease Monthly Contact Loretta Brooks for pricing information at 404-484-5874.-is a large open studio with a second story loft. This space is perfect for a small production company or aspiring artist/photographer. Studio F (10,000 sq. ft) features a 19” lighting grid and can hold up to 5 sets. If you are ready to book your date or receive a quote, Please review our studio forms and project questionnaire.